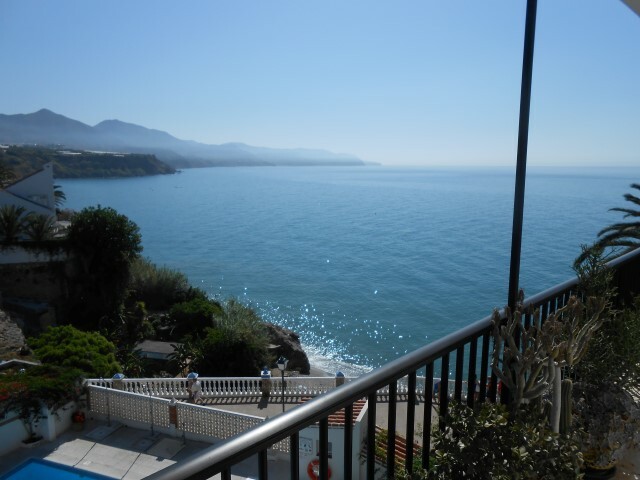 Perfect Summer Sun "Temperate climate for wonderful holidays all year round"
Nerja, on the Costa del Sol, is a beautiful seaside resort of sandy coves sheltered by the impressive Sierra de Almijara mountains and often referred to as 'The Jewel of the Costa del Sol'. A temperate climate means that Nerja is a fantastic place to visit at any time of year. 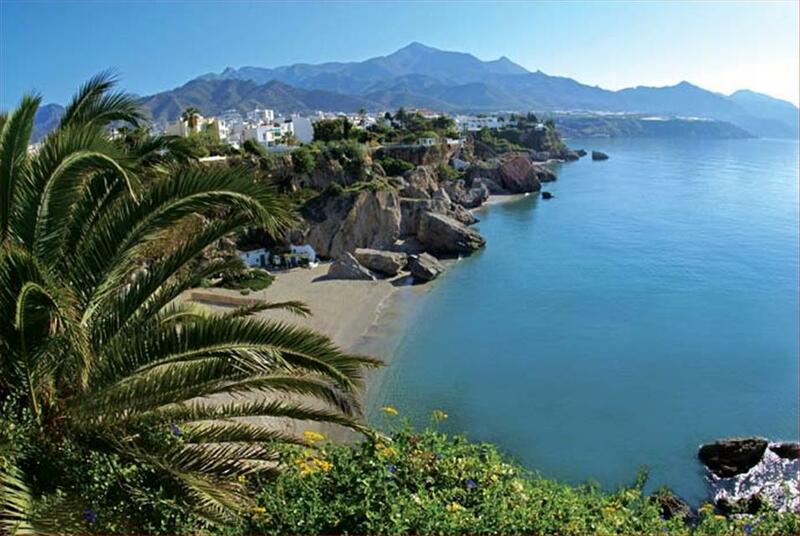 Nerja is located just 53 kilometres east of Malaga on the Costa del Sol and can be reached in about 50 minutes by car from Malaga airport or about an hour and a half by bus. Malaga International is serviced by low cost airlines from most UK airports, with daily, year round flights. At its heart is the perennially beautiful Balcón de Europa, a palm-lined promontory built on the foundations of an old fort with panoramic views of the cobalt-blue sea flanked by honey-coloured coves. In the prestigious Chimenea area is this wonderful two-bedroom, open plan, semi-detatched property with en-suite bathrooms. A beautiful semi detached house with superb sea and mountain views. Casa Chimenea is situated in an extremely quiet, secure area on a private road with free on-street parking for several cars. 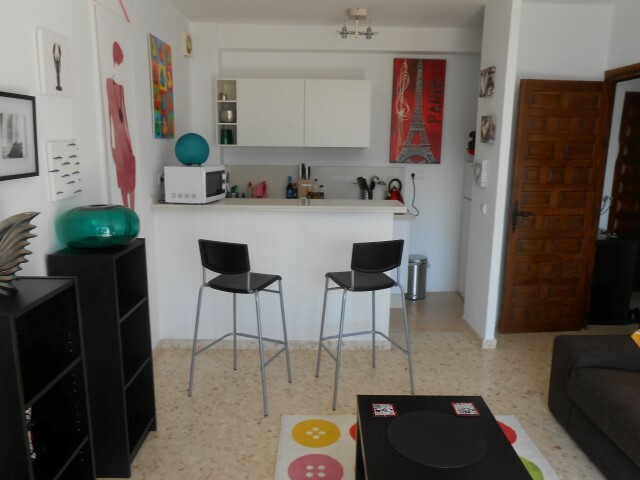 The bars, cafes and restaurants of Burriana Beach are just 5 minutes walk away with 2 large supermarkets close by. 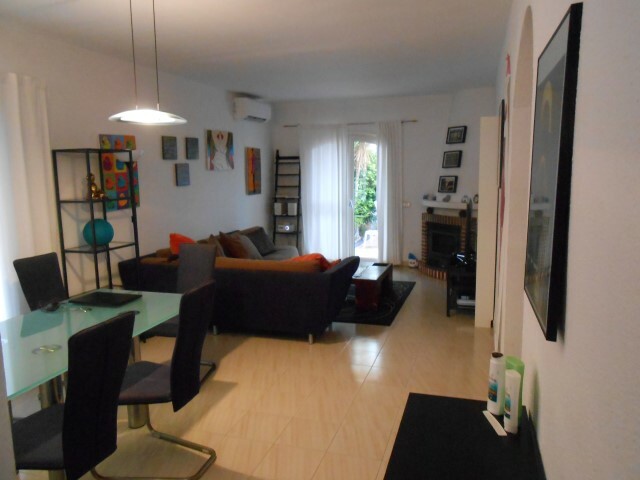 Apartamento Rocamar is 5 minutes walk from the Balcón de Europa and all amenities and facilities, bars, cafes, restaurants, shops and supermarkets are within short walking distance.